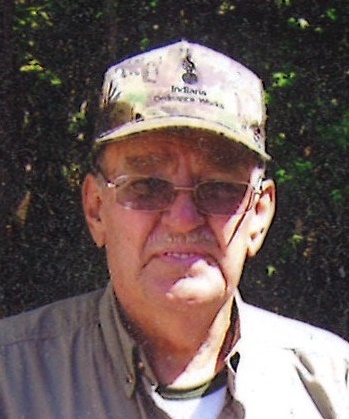 Johnny Sparks, 76, of Peru passed away on Saturday, January 12, 2019 at St. Vincent Hospital in Indianapolis. He was born in Hyden, Kentucky on February 18, 1942 to Henry and Nancy (Calwell) Sparks. He served in the United States Army, and he married Beulah (Couch) Sparks on July 5, 1962. She survives. Johnny retired from Square D as a forktruck driver. He was a member of the Church of God, and served as a volunteer firefighter in Mexico, Indiana. He is survived by his wife Beulah, and their daughter Tina Louise Birner of Peru. Also, brothers James Sparks of Logansport, Orville Sparks of London, KY, and Gene Sparks of Manchester, KY; and sisters Nettie Roberts of Ohio, Callie Collins of Peru, and Henrietta Jones of Manchester, KY. Also surviving are grandkids Shallyn Renee Birner and Curtis Wayne Birner; and great-grandkids Thomas Johnson, Curtis Johnson, Kamren Johnson, and Landon Birner. He was preceded in death by his parents, as well as brothers Elmer Sparks, Wilmer Sparks and Wilk Sparks; and sisters Rosie Hoskins, Evelyn Hendricks, Sally Stidham, and Minnie Ruth Sparks. Visitation will be held from 4pm – 7pm on Thursday, January 17, 2019 at Flowers-Leedy Funeral Home, 105 West Third Street, Peru, Indiana. Funeral service will be held at 1pm on Friday, January 18, 2019 at the funeral home, with Pastor Phil Cruea officiating. Military rites will be provided by the Miami County Military Rites Team. There will be a private family burial.